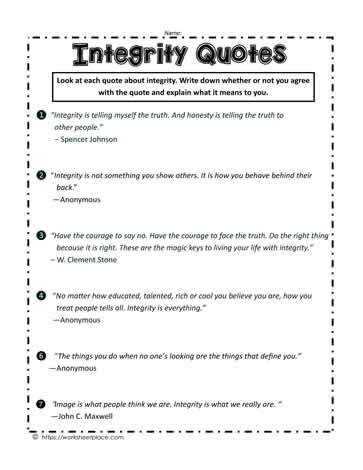 Use these integrity quotes in the classroom. Have students interpret them and decide if they agree or disagree with them and provide reasons. Character trait quotes are a great tool to teach character education.